Created by the Campus Election Engagement Project, a nonpartisan effort to help college and university administrators, faculty, and student leaders engage their schools in the election. Key sites consulted included Votesmart.org, OntheIssues.org, FactCheck.org, Politifact.com, and public candidate statements. For guides to local races, see Vote411.org from the League of Women Voters and Ballotready.org. For more detailed information visit their votesmart.org pages. To volunteer, visit espyforsenate.com or cindyhydesmith.com or mcdaniel2018.com. We can’t include Tobey Bartee due to space limitations & his polling less than 15%, but do check out his website. To download a printable pdf version of this guide, click here. Chris McDaniel – Ban. Has authored repeated, “legislation to protect the unborn.” Voted to ban abortions after 15 weeks. Mike Espy – Yes. Supports federal spending on infrastructure, broadband & childcare, to grow the economy. Cindy Hyde-Smith – Mixed. Sees value in federal spending on local projects. But “controlling spending” is a priority. Mike Espy – No. Tariffs need to come to a halt. They harm Mississippi soybean production. Environment: Support restraints on Environmental Protection Administration (EPA)? 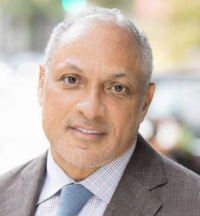 Mike Espy – No position found. Cindy Hyde-Smith – Yes. Supports the deregulatory path taken by Trump EPA. Financial Regulation: Support cutbacks in Consumer Financial Protection Bureau (CFPB)? Cindy Hyde-Smith – Unclear. Voted to roll back CFPB rule limiting potentially discriminatory auto loan rates. Chris McDaniel – Unclear on CFPB. End “burdensome regulations.” Require Congress to approve new regulations. Mike Espy – Yes. “Committed to ALL Mississippians having access to their rights of citizenship,” regardless of sexual orientation. Chris McDaniel – No. Supreme Court gay marriage decision “has absolutely no basis” in Constitution or common law. Chris McDaniel – No. Will never takes away rights of law-abiding gun-owners. Allow citizens to purchase & carry firearms without government permission. Mike Espy – Support. Protect while expanding mental health & prescription drug coverage & offering preventive services without cost-sharing. Cindy Hyde-Smith – Repeal Obamacare. Help families afford health insurance coverage without expanding government role. Healthcare: Allow Planned Parenthood to receive public funds for non-abortion health services? Mike Espy – Probable yes. Says will fight for women’s rights & reproductive health care… including the availability of medical services. Cindy Hyde-Smith – No. Opposes public funds going toward family planning services at healthcare organizations that also provide abortions. Chris McDaniel – No. “Defund Planned Parenthood.” Doesn’t matter that their clinic doesn’t offer abortion, because their money is fungible. Mike Espy – No. “Mississippians should have full access…” Expand funding of Medicaid & CHIP. Cindy Hyde-Smith – Unclear. Support Farm Bill amendment adding a work requirement to food stamp programs. Cindy Hyde-Smith – Likely no. Voted to block amendment that would have allowed banks to work with legitimate cannabis businesses. 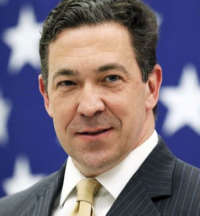 Chris McDaniel – Leave it up to the states. Minimum Wage: Raise the federal minimum wage from $7.25 hr? Mike Espy – Yes. Strongly support increased minimum wage & increased Earned Income tax credit. Cindy Hyde-Smith – No position found. Chris McDaniel – No. Would eliminate employment opportunities but do little to reduce poverty or inequality. Government shouldn’t dictate employer wages. 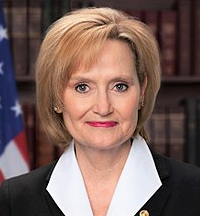 Cindy Hyde-Smith – Supports biofuels. No other position found. Chris McDaniel – No. Opposes funding inefficient sources of energy like ethanol & solar energy. Government shouldn’t pick winners & losers. Student debt: Help students refinance student loans at lower rates? Increase financial aid, like Pell Grants? Mike Espy – Yes. Would increase interest subsidies on student loans. Also, protect students from predatory for-profit schools. Chris McDaniel – No. Has said the federal government should have no role in education, not even to pay for it. Taxes: Support President Trump’s tax cut bill? Cindy Hyde-Smith – Yes. Supports Trump’s tax cuts. Voting Rights: Support voting rules that prioritize preventing the possibility of fraud, even if they limit access? Cindy Hyde-Smith – Yes. Voted for legislation requiring specific forms of voter identification in order to vote. Chris McDaniel – Yes. Helped defeat bill giving felons the right to vote & instituting early voting. Instead, pushed for a stronger voter-ID bill.